Many plants have beneficial symbiotic relationships with mycorrhizal fungi. There is now a wealth of information on the ecology and biology of mycorrhizal associations with plants (see Harley and Smith, 1983; Nemec, 1987; Kropp and Langlois, 1990). Of particular interest to plantation forestry is the potential for increased biomass productivity by exploiting the growth stimulating effects of mycorrhiza. It is now known that; (a) to maximize benefits of the fungi, plants should be inoculated with particular fungi at the time of seedling production, and (b) there are few technical barriers to the exercise of inoculation as a management option in current practices for seedlings. g. the form of inoculum described later herein is superior. Biosynthetica Pty. 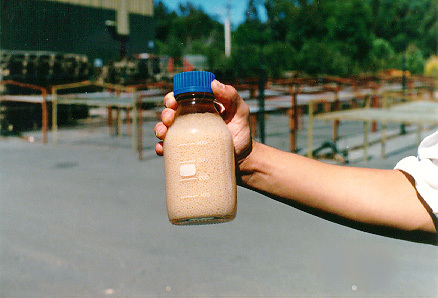 Ltd. began R&D on inoculants for increased plantation productivity in 1987 when as Interbac Australasia Pty. Ltd. it began start-up funding of a 3-year research program at the University of Western Australia to develop an inoculum form later named Mycobead. Interbac remained, and Biosynthetica continues to remain start-up company whose main role is to continue funding the development of the program. Biosynthetica and its predecessor have exclusively provided the project funding and have not previously applied for any grants or subsidies. Biosynthetica became a wholly owned subsidiary of Biron Corp. Ltd., a listed public company. Biron acquired the rights to intellectual property for a novel process for artificially producing emeralds and after several years of R&D achieved commercial production and sales. Interbac secured the services of Dr. Clem Kuek at start-up in 1987 because the program relied upon, and continues to rely on his expertise from his PhD studies (see Kuek and Armitage, 1985) on immobilization of fungal mycelia in hydrogel beads, the main feature of the inoculum program. In 1991, Dr. Kuek took up his current appointment as Senior Lecturer in Industrial Microbiology in the Faculty of Business and Technology at the University of Western Sydney, Macarthur. Dr. Kuek continued R&D for Biosynthetica at the University of Western Sydney, Macarthur. 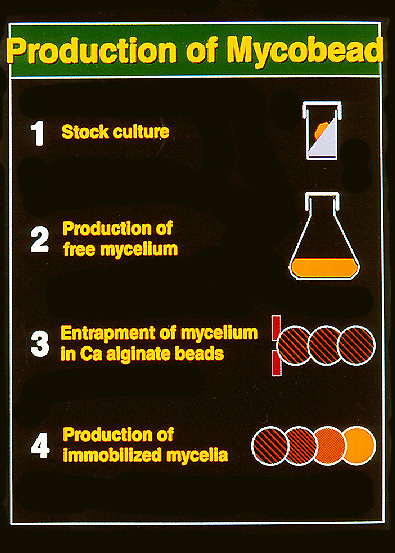 R&D in Mycobead was centered on the technology required to mass culture mycorrhizal fungi of commercial importance in a form which will be compatible with forestry practices. However, the supply of fungal strains and ecological studies of the performance of the fungi in increasing the rate of tree growth was undertaken by a collaborating research organization. Similarly, a plantation company collaborated in the conduct of field trials to prove the inoculum form and the fungi. Thus, a tripartite arrangement was always in place. In further development of Mycobead, suitable collaborating organizations will need to be re-enagaged. 1987 Project commencement at Soil Science and Plant Nutrition, School of Agriculture, the University of Western Australia. Three-year collaboration with the CSIRO Division of Forestry begins. The latter supplied fungal cultures of promise. Fermentation studies begin for the free-culture of mycorrhizal fungi. 1988 Studies on immobilized mycorrhizal fungi commence. New collaborations with Alcoa of Australia, the W.A. Department of Conservation and Land Management, and Bunnings Treefarms Pty. Ltd. All organizations were supplied trial inoculum. 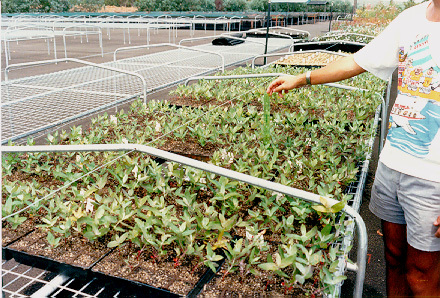 Nursery trials conducted at Alcoa of Australia' nursery. Cost-benefit analysis of the use of inocula in W.A. undertaken for subsequent use as the basis for negotiations on a pricing structure. 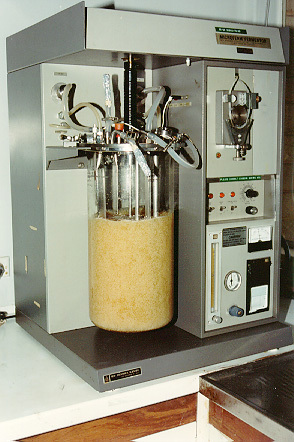 1989 Small-scale machine for the axenic production of immobilized fungi proved. Model system at laboratory scale for the production of immobilized mycelia of ectomycorrhizal fungi (Mycobead) developed. Trials of the use of Mycobead in the commercial seedling nursery of Bunnings Treefarms begun. 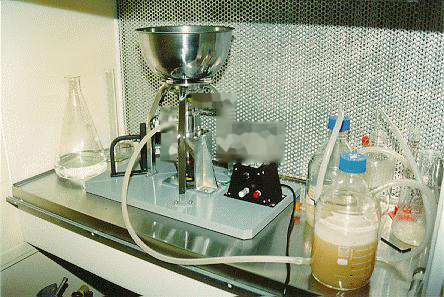 1990 Long-term preservation techniques for fungal cultures developed in collaboration with Alcoa of Australia Ltd. and Pivet laboratories Ltd. Trials at Bunnings Treefarms nursery continued. Over 80,000 seedlings were inoculated with nearly 100% success rate (Hardy et al., 1991). Bunnings place orders for 100,000 inoculum doses for 1991/92 planting season to test the production and marketing of mycorrhizal eucalypts. Negotiations begin with Bunnings Treefarms for commercial collaboration for the production and marketing of Mycobead. Funding from Interbac halted due to problems from company re- structuring. Program halted. 1991 Program moved to the University of Western Sydney, Macarthur where it was funded to 1994 at the minimal level as a means of conserving the technology rather than further developing it. Bunnings Treefarms cease mycorrhizal R&D because government regulations regarding the development of eucalypt plantations cannot exploit the benefits of their fungi. 1994 Status: Thus, developed to model stage is production technology for a unique inoculum form and theoretically superior to other forms of inoculum. 1995 Department of Industry, Science & Technology approval given for the technical bases for a $3,000,000 R&D Syndicate. However, changes in taxation law in December of that year meant that plans for the syndicate had to be shelved. 1996 Status: The project awaited revival either through outright purchase or licensing arrangement. Negotiations were conducted for the technology to be used in an R & D Syndicate project commencing November, 1996. 1997 Status: The project was incorporated into the Xylonova R&D Syndicate for a sub-contract period of 2 years with $150,000 funding. The objective of the Xylonova Syndicate is to develop elite eucalypts for saline environments. Chang, D C N (1994) What is the potential for management of vesicular-arbuscular mycorrhizae in horticulture? In Management of Mycorrhizas in Agriculture, Horticulture and Forestry. Eds. A D Robson, L K Abbott and N Malajczuk. pp. : 187-190. Kluwer Academic Publishers, Dordrecht. Hardy G E St J; Thomson, B D; Malajczuk, N and Grove, T S (1991) Commercial inoculation of eucalypts with ectomycorrhizal fungi. In Mycorrhizas in Ecosystems - Structure and Function, Abstracts 3rd European Conf. on Mycorrhizae, Sheffield. Harley J L and Smith S E (1983) Mycorrhizal symbiosis. Academic Press, London. Nemec, S (1987) VA mycorrhizae in horticultural systems. In Ecophysiology of VA Mycorrhizal Plants. Ed. S R Safir. pp. : 193-221. CRC Press Inc., Boca Raton, Florida. Kropp, B R and Langlois, C-G (1990) Ectomycorrhizae in reforestation. Can. J. For. Res. 20: 438-451. Kuek, C (1996) Shake flask culture of Laccaria laccata, an ectomycorrhizal basidomycete. Appl. Microb. and Biotechnol. 45: 319-326. Kuek, C and Armitage, T A (1985) Scanning electron microscopic examination of calcium alginate beads immobilizing growing mycelia of Aspergillus phoenicus. Enz. Microb. Technol. 7: 121-125. Kuek, C; Tommerup, I C and Malajczuk, N (1992) Hydrogel bead inocula for the production of ectomycorrhizal euclaypts for plantations. Mycological Res. 96: 273-277. Tommmerup I C; Kuek C and Malajczuk, N (1987) Ectomycorrhizal inoculum production and utilization in Australia. In Mycorrhizae in the Next Decade: Practical Applications and Research Priorities, Proc. 7th Nth. Am. Conf. on Mycorrhizae. Eds. D M Sylvia, L L Hung and J H Graham. pp. : 293-295. Inst. of Food and Agric. Sci., University of Florida, Gainesville, Florida. Dr. Inez Tommerup, Dr. Nick Malajczuk, Mr. David Deane-Spread, Mr. Simon Lill, and Mr. Julien Sanderson. Maria Auteri, Sonya Zouein and Tim Meyer in Sydney, New South Wales.